2019 IDC Weltmeisterschaft Is Just Around the Corner! The IDC is a prestigious working dog competition comprised ONLY of Dobermans competing at the IGP3 level from all over the world. It is held in different IDC member countries each year. The UDC will be sending a team to the event in Hungary, May 3-5 of this year. Learn more about our UDC team and how you can participate! The 2019 UDC National Specialty and IGP Championship will be held May 15 – 19, 2019 at the Portage County Randolph Fairground, 4215 Fairground Road, Atwater, Ohio 44201. 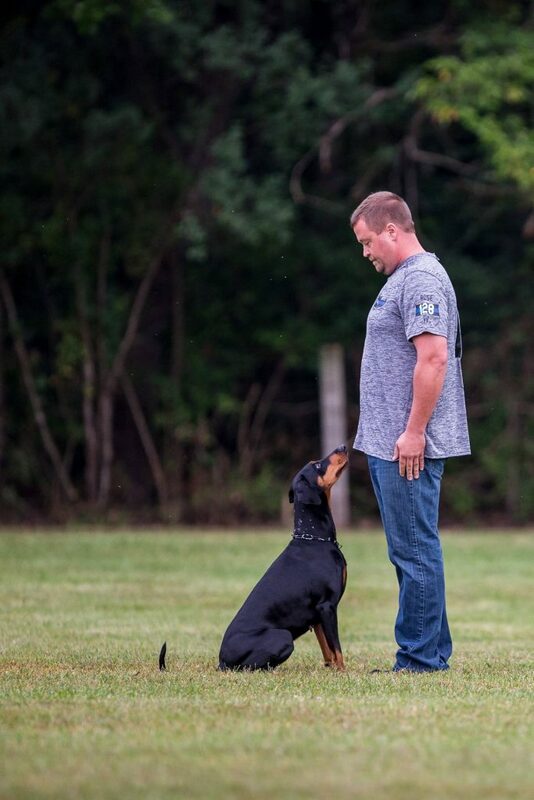 The event will be hosted by UDC member club Vita Nova Dobermann Club, and includes conformation shows, obedience trials, a breed survey, and the UDC National IGP Championship. Check back often for updates about the schedule and the grounds. Rules for the events can be found in the Breed and Performance manuals on the UDC website. Whether you are an experienced Doberman owner or completely unfamiliar with the breed, you will find valuable information here about the breed and its special qualities as a companion and protector. If you are considering adding a Doberman to your household, take a few minutes to learn more about Doberman temperament, conformation, and health concerns. Learn about sources for obtaining a pet or show Doberman, how to evaluate a breeder or rescue organization, and how to select a puppy or adult dog. Perhaps you already own (or are owned by) one or more Dobermans? 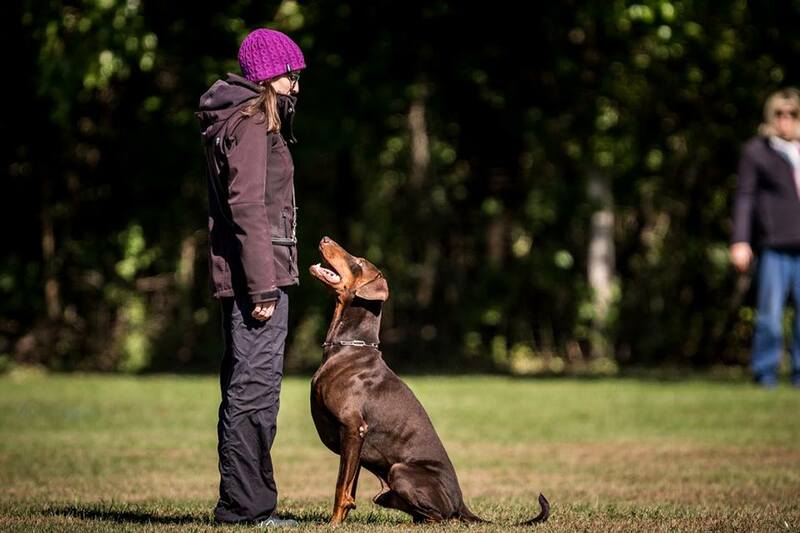 Explore our site to discover activities in which you can participate with your Doberman, and where you can go to network with other Doberman owners and enthusiasts. 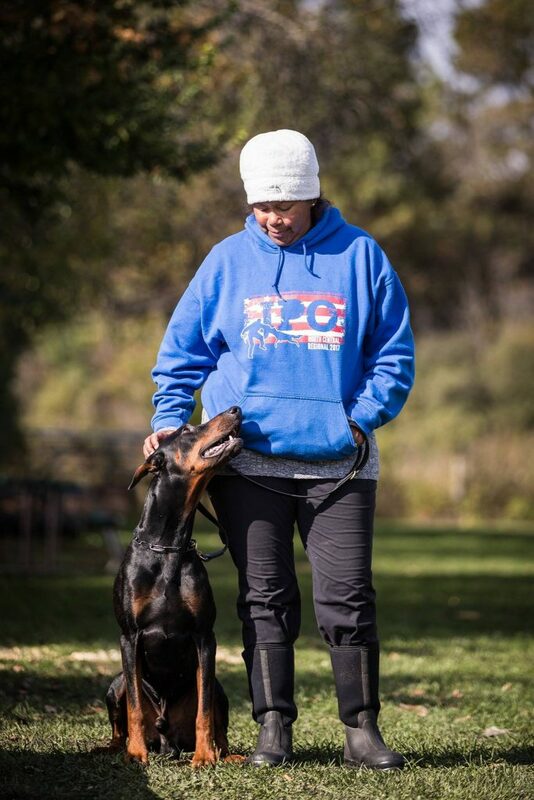 The UDC offers opportunities to learn more about training your Doberman in a variety of activities for which your dog is suited. And if competition is of interest, check out the many UDC events that are held around the country. C-Amos vom Haus Mann IPO3 ("Amos") and UDC Member Monica Anthony @workingsportdobes will be representing the UDC at IDC WM in Slovakia May 4-6, 2018. Amos is the winner of the 2017 UDC Fall Classic IPO Championship. Pictured is Whitney Newman and her dog "Ricky Bobby" taking 1st Place Champion Class Dogs, Best Opposite Show 2 at the 2015 UDC National. Leslie Carpenter and "Asher"- Treasure Seeker’s Asher IPO3 WAC- earned their IPO3 on 3/24/2018 at the Raleigh Schutzhund Association trial with USCA Judge Arthur Collins. Asher is Leslie’s first homebred IPO3. Big congrats to Leslie and her dog on this accomplishment! #tbt check out the cover of the 2007 UDC Focus covering the National! Come make some memories with us at the 2018 UDC Nationals in Sedalia, MO! Temperament test, conformation, obedience, WAE, CGC, working dog seminar, Night Walk, Breeder workshop - something for everyone - you do NOT have to be a UDC members to participate! Mark your calendars! 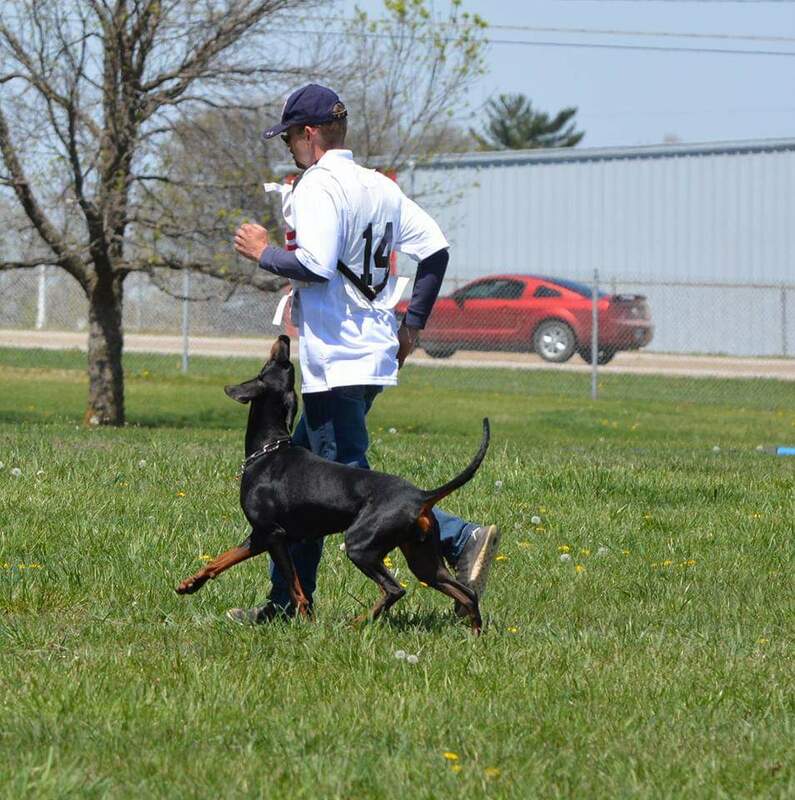 📆 The 2018 UDC National is being hosted by Mid-Central Working Doberman Club in Sedalia, MO. We are excited about this year’s National! Spectators welcome! 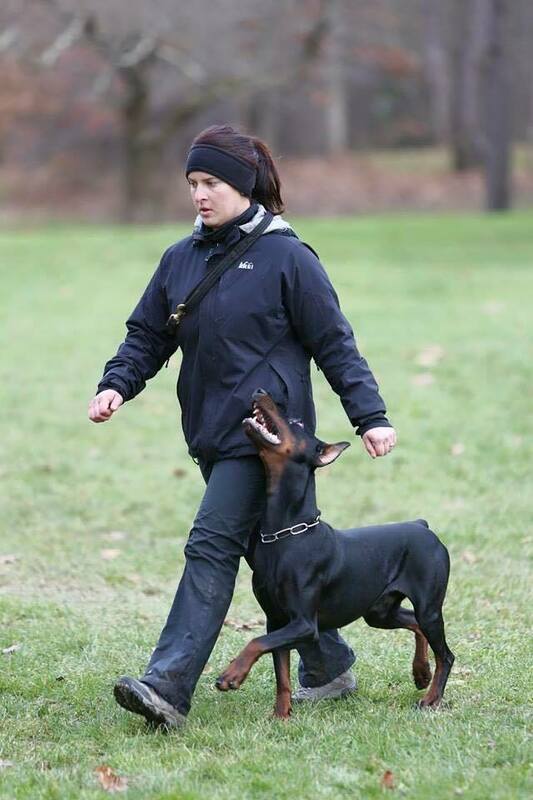 Congrats to UDC member Ellen Gilmour @ell40 & Oscar von Quinn, IPO3 who earned a qualifying score for the 2018 IDC Doberman Worlds at the East Coast Schutzhund and Police Club Trial this weekend under USCA Judge Arthur Collins. One down, one to go. UDC Member Ashlee Taylor & "Rogue" had a big weekend at Royal Canin! Friday: 1st place with a 198 in Grad Open & a 3rd leg for a Rally Advanced title. They competed in the AKC Obedience Classic, being the only doberman among 60 represented breeds and roughly 200 teams. They took home 7th place in the Open Division! Ashlee & Rogue were also awarded the DPCA breed medallion and spent some time at the "Meet the Breed" booth educating and talking with people. Thank you for being ambassadors for the breed! Congratulations to Ashley Stursa @ipodobes & her dog Marco vom Landgraf IPO3 on earning another IPO3 with High in Trial, High Tracking, and High Protection. 97-88-97 = 282, under SV Judge Christiane Groene Seidel at OG Ohio Hundesport.